There are many people who want to have extra space to store their belongings. If you’re one of them, then building your own sheds can be a great solution for your Perth home. Custom designing and then building or ordering your own shed is a great way to create extra storage space for yourself. However, there are a few things to take into consideration before you draw up the plans to start building. The first thing you should ask yourself before you start building your storage sheds is your specific purpose behind the construction plan. What exactly is the shed meant to do? If you are planning on storing valuable things, make sure to install security features; if you are going to store larger items, such as heavy machinery, you need to take into account the extra room that you will need to accommodate them. When building any kind of structure, you want to make sure that it can last under any conditions. This is especially true for storage sheds because you are keeping valuables in them and want them to be safe no matter how harsh the weather can be. It is a very good idea to build your shed with extra protection, especially if you’re living in an area that is susceptible to extreme and unpredictable climate. 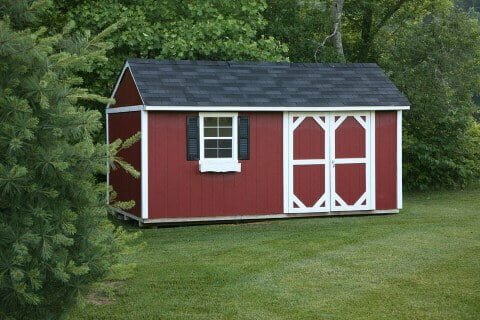 Aside from the functionality of your shed, of course, you want to make sure that it looks pleasing as well. After including all necessary features and precautions, choosing to add extras to the shed is not a bad idea. This way, you get the most out of your shed and have it tailored exactly the way that you want, with just the right shape, colour and features to show off your style and personality. When deciding to build a storage shed, it is important to factor in any circumstances that would affect the usage of the shed. We, at Action Sheds Australia, understand that purpose, style and precautions against weather damage are all essential considerations when building a shed and we can guarantee that the storage sheds we provide are equipped with these elements. As always, we are here to help you with the customisation and designing process. For more information about how our sheds can be yours, call us on 1300 778 628.